RESULT: Menace eats chicken and declares it is even nicerer than pink ham. And this sleight-of-hand act (or eye? Or mouth?) is not limited to the under-10s. RESULT: Menace and I eat flapjack. Which is also declared nicerer than pink ham. RESULT: Man eats flapjack. Comparison to ham (of any colour) irrelevant as he is vegetarian, but is generally declared delicious. It is a skill I wish had been employed by own parents rather than the school of harsh realism that was 19 Harvey Way. Not that I am encouraging blatant telling of pork pies. Just that sometimes, just sometimes, a little white lie works like a spoonful of sugar, and helps the medicine (or white ham, or flapjack, or fishfingers) go down. 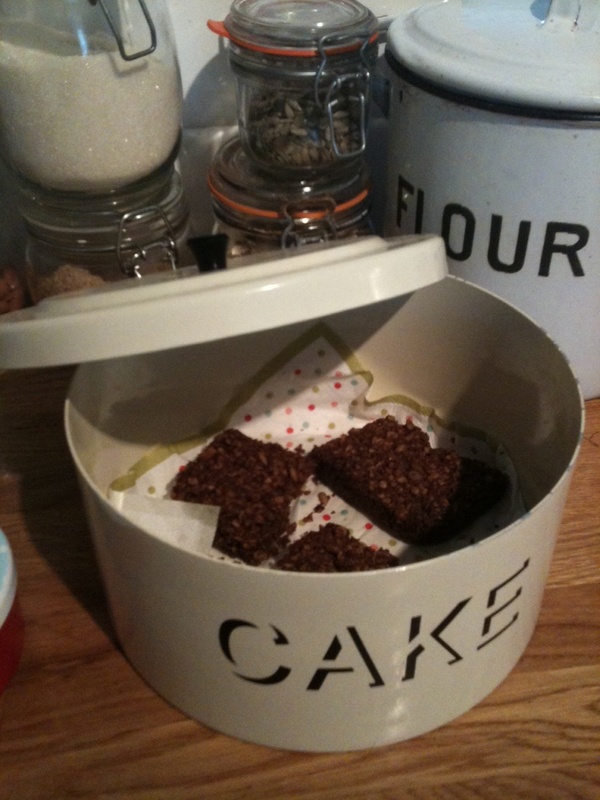 This entry was posted in Blog, Reading and tagged baking, little white lies, writing. Bookmark the permalink.